University student protesters from Nicaragua visiting Ruben Dario Park in Sweetwater this month. Anti-government unrest has been raging in Nicaragua since April – and so has the killing by pro-government security forces. Even after President Daniel Ortega and his opponents called a ceasefire this past weekend, eight people died when pro-Ortega enforcers allegedly torched a family’s home in the capital, Managua. As a result, anti-Ortega protesters from Nicaragua have come to Miami to rally support – and describe the violence they’ve seen. They’re visiting enclaves like Sweetwater, where South Florida’s largest Nicaraguan community lives. 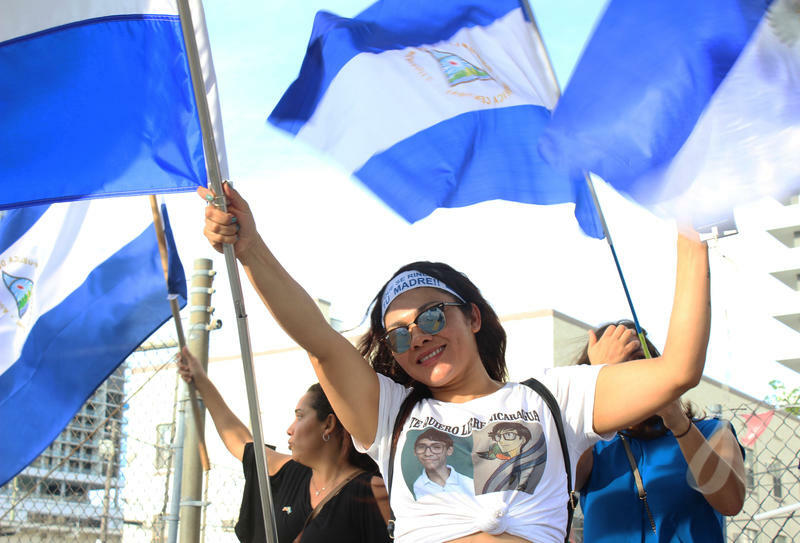 On one recent weekend, people waved Nicaraguan flags and drivers honked their horns as part of a rally in Rubén Darío Park to show solidarity with Nicaraguans back home who want to see Ortega pushed out of power. The rally included Nicaraguan university students who’ve been on the front lines of the anti-Ortega demonstrations and have experienced violence at the hands of police there. “The police began to attack us, many guns fired at us, rubber bullets, lead bullets, real bullets,” said a 20-year-old student who calls himself Mome, recounting one recent street incident in Managua. Wearing a Nicaraguan flag bandana over his face, Mome asked that his real name not be used, for fear of retribution when he returns home. As a medical student, he said he’s had to treat victims of the police attacks. 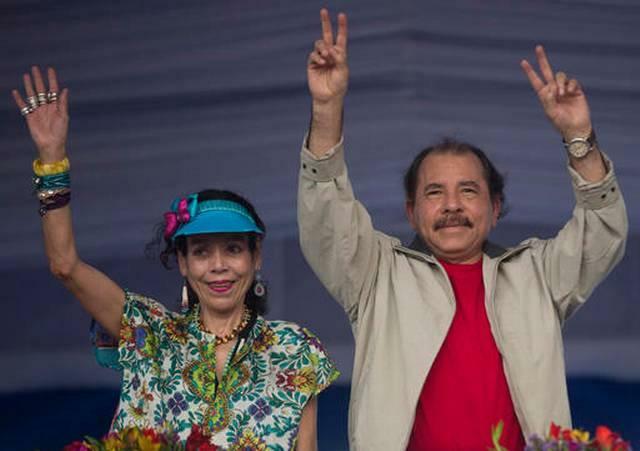 READ MORE: Nicaragua's Ortega Has 'Vindicated' Himself. Cuba's Castro Would Have Been Proud. Dimitri Largaespada, a Nicaraguan-American businessman in Miami who’s planning to ship medicine and other supplies to the protesters, was listening nearby. He said accounts like Mome’s have been an eye-opener for the expat community. “It shows how Ortega is willing to do anything to remain in power,” said Largaespada. The drive to oust Ortega from power began in April as a reaction to his pension reform, which most Nicaraguans decried as a financial hardship since they’d have to pay more for fewer benefits. Students joined older citizens in the protests. But police and armed pro-Ortega gangs called turbas cracked down violently. Nicaraguan human rights groups say more than 170 people have been killed, almost all of them protesters. The protesters say Ortega and his vice president Rosario Murillo – who is also his wife – have trashed Nicaragua’s democracy and created a corrupt dictatorship. “All we want is for Ortega to leave peacefully, democratically, as soon as possible because we don’t want any more deaths,” said another student protester visiting Sweetwater, who calls himself Armando. Armando too asked that his real name not be used since he said he’s received death threats back in Nicaragua from Ortega’s agents. As a result, his family sent him to Miami for a while. But Armando said he plans to go back because his generation feels the same urgency to topple a dictator that his grandparents felt 39 years ago. Ironically, that’s when they fought alongside Ortega to overthrow a different Nicaraguan autocrat, Anastasio Somoza. 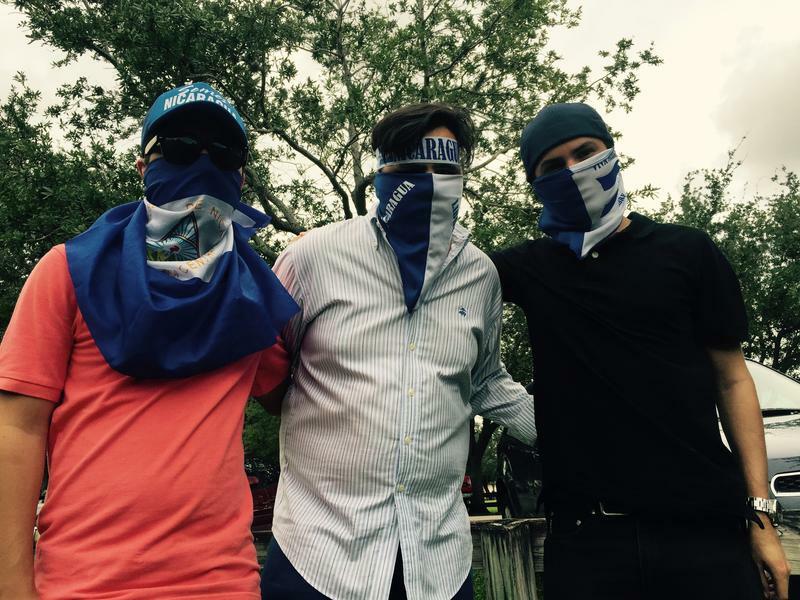 Armando and other protesters have also been visiting Washington, trying to get the U.S. to apply more pressure on Ortega. Miami Congresswoman Ileana Ros-Lehtinen has introduced bills to that effect – one of which would make it more difficult for the Ortega regime to access international loans – and met with the protesters. 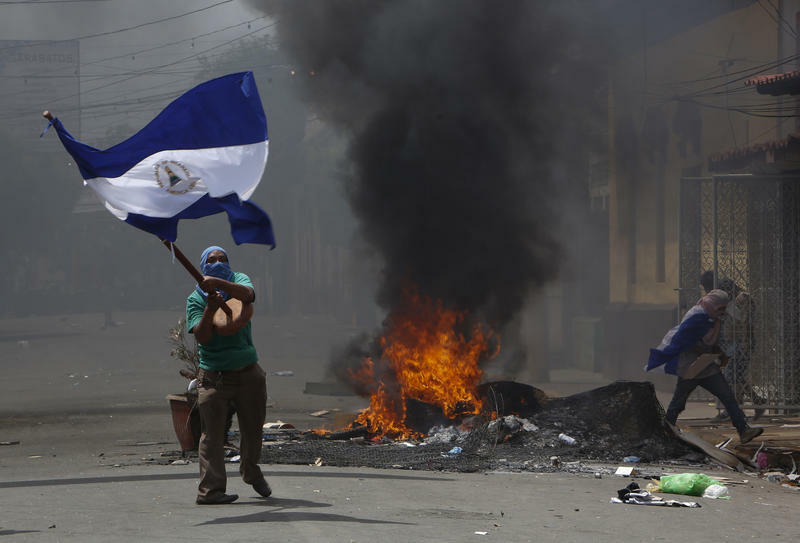 An anti-government protester walks among burning street barricades in Managua. Ros-Lehtinen has also met with Felix Maradiaga, an anti-Ortega activist who heads the Institute for Strategic Studies and Public Policy (IEEPP), a Managua think tank. He's the son of a former political prisoner during the Somoza regime. But now, Ortega accuses him of being part of an international criminal conspiracy to incite violence against his government. Maradiaga knows if he returns to Nicaragua he’ll probably be arrested – but he too plans to go back. Either scenario is spurring Nicaraguans in South Florida to do more. 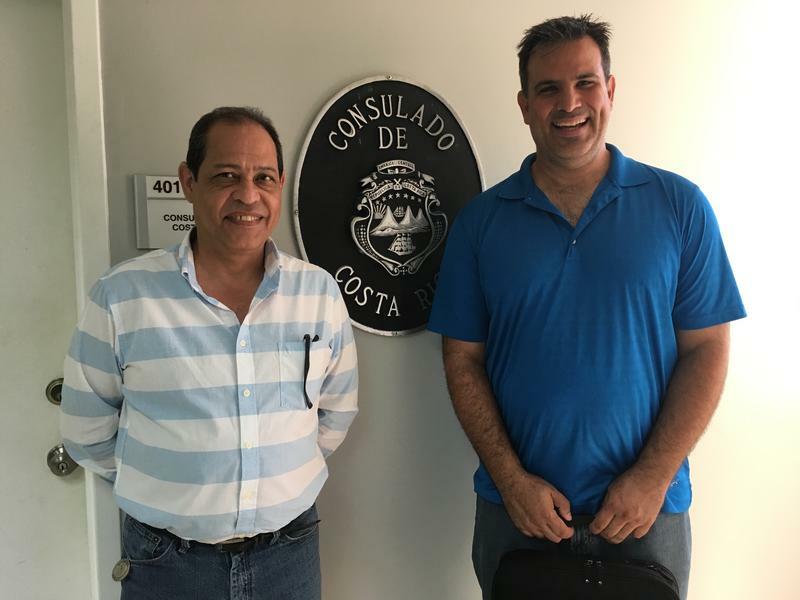 Miami businessman Norman Fitoria visited the Costa Rican consulate in Miami this month to arrange medicine shipments from Costa Rica into Nicaragua – and he plans to go to Nicaragua himself as well. Nicaraguan protesters hope they can continue counting on more help from Miami in that struggle. More than 130 people have been killed in anti-government protests raging in Nicaragua since April. 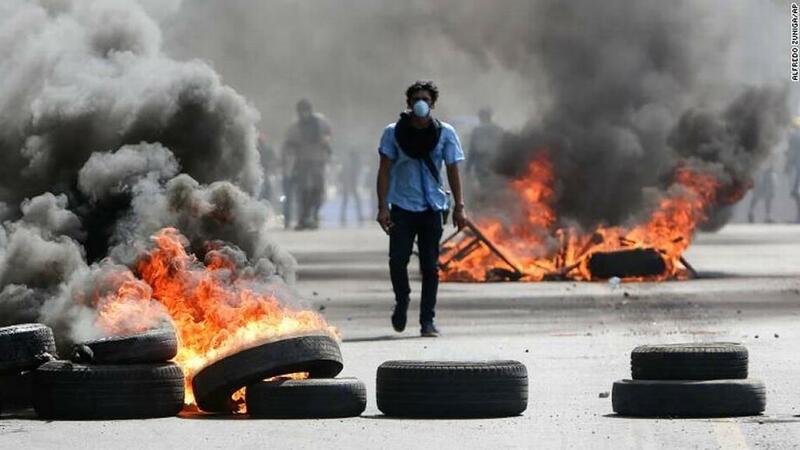 Demonstrators are calling for the removal of authoritarian President Daniel Ortega – but his security forces have responded with widely condemned brutality. Attendees of Friday night's Miami Fashion Week runway shows walked through an unglamorous scene to get to the downtown event: dozens of protesters wearing blue and white waved Nicaraguan flags and whistled at people walking into the venue, Ice Palace. They had gathered to express anger about the possibility that Camila Ortega Murillo, the daughter of Nicaraguan President Daniel Ortega, would show up. I understand why Miami Congresswoman Ileana Ros-Lehtinen is outraged at Nicaraguan President Daniel Ortega. Ortega’s a strongman, autocrat, caudillo, whatever authoritarian label you want to give a guy who’s mugged Nicaragua’s democracy and turned much of the impoverished Central American country into his fiefdom.